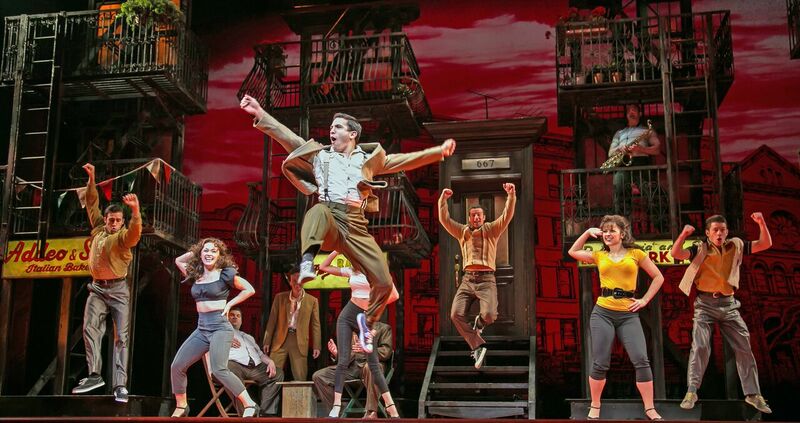 My son and I recently saw the show “A Bronx Tale” at PaperMill Playhouse in Millburn, NJ. For those of you who don’t know anything about the story, it’s based on the real life of Chazz Palminteri, who then wrote a play about it as well as preformed a one man show. There is, of course, also a movie with the esteemed Robert De Niro, which did very well. Now preformed with a full cast, music, dancing- the works- A Bronx Tale is a fun musical theater production that you should see before it closes it’s doors. My son and I enjoyed the show. I had explained the premise to him beforehand, and since he understands what the civil rights movement was, and how things “used to be in the olden days” as he puts it, he was prepared. I don’t know that all children of all ages would be able to see the show- there is cursing and some violence (gunshots, people are beaten up, there is a car explosion off stage, etc), but it’s not vulgar- you would need to be the judge of what your child is mature enough to handle. It is in no way a show I found to be explicit or over the top- but your child would need at least a basic understanding of the times, and you would need to be OK with them hearing bad language now and again. (It’s not “Jersey Boys” bad language- just now and again.) You are exposing your child to both history and theater, which is a good thing- just make sure they are mature enough for it at the time. 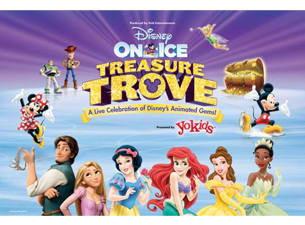 Discover endless riches when an extraordinary lineup of stories from the Disney animated film vault comes to life right in Newark in Disney On Ice presents Treasure Trove Presented by Stonyfield YoKids Organic Yogurt! Produced by Feld Entertainment, Disney On Ice presents Treasure Trove is performing at Prudential Center in Newark, January 13 to 18. We just saw the new Ringling Bros. and Barnum & Bailey show, Circus XTREME. 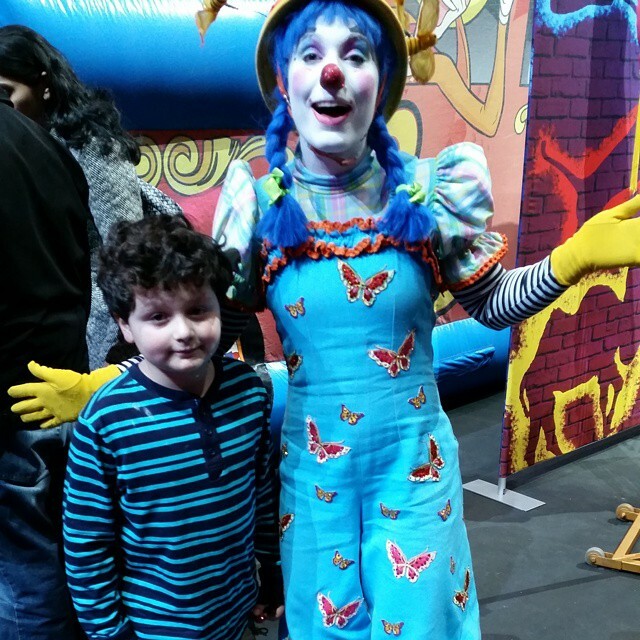 My son loves the circus, and this year did not disappoint. With amazing circus acts, incredible performers who are able to twist and turn their bodies in ways that most of us can’t even imagine, and acts that make you wonder if your eyes are deceiving you- Ringling Brothers truly is the “greatest show on earth”. The circus you have loved since your own childhood is back and ready for you to make memories with your children. Every child should see the circus, and this is a show not to be missed. If you get there early, there is a pre-show available for one hour before the circus begins, where your family can interact with performers. Try juggling, take photos with performers, and meet the clowns you will shortly see performing. The All Access Pre-show is free with your ticket purchase. 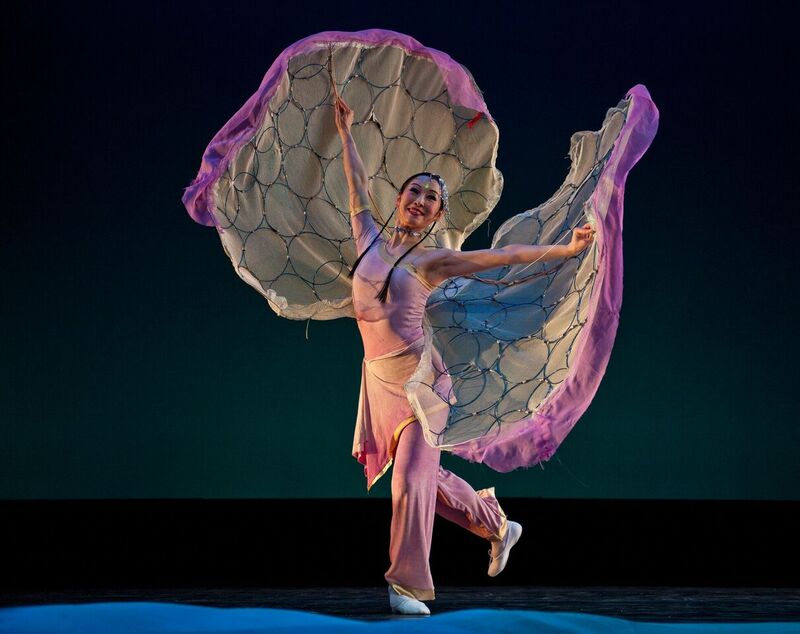 You and your family can meet the international cast of performers and get up close to the menagerie of animals. Try on custom costumes, learn circus skills — like juggling and walking the low wire — from the famous Ringling Bros.® Clown Alley and even have the opportunity to win a one-of-a-kind masterpiece created by one of our very own Ringling Bros. painting pachyderms. 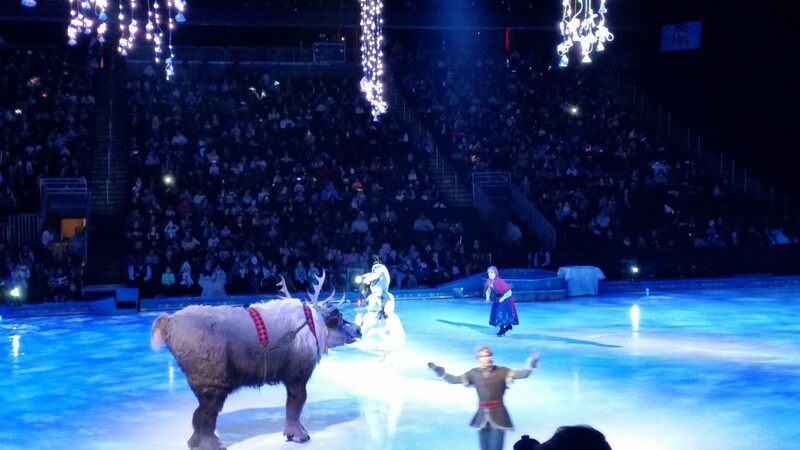 We recently saw the new Disney On Ice show, Frozen. My son loved it, but the little miss loved it even more. 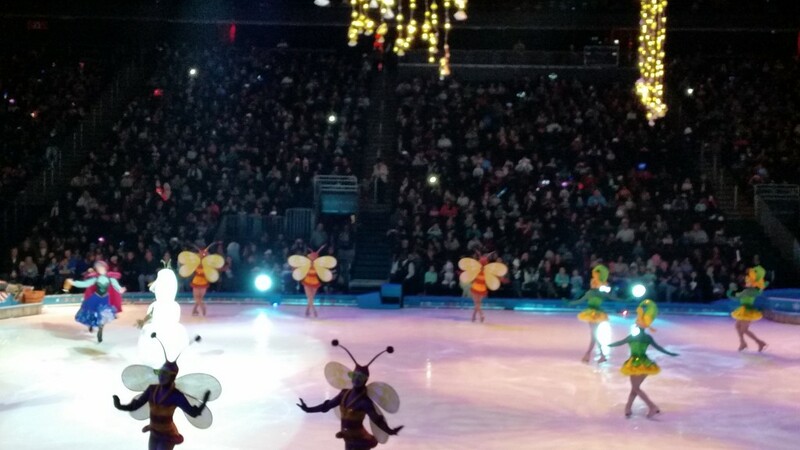 Mickey, Minnie, and friends were the first to hit the ice, which brought shouts of joy from the audience. The kids were all excited (and lets face it, everyone loves Mickey and Minnie). But when Elsa and Anna hit the stage, the screaming and screeching from all the little girls (and plenty of their parents) was deafening. All the little Elsa’s and Anna’s in their dress up clothes, with wands and tiaras being shaken around in the air excitedly, could hardly contain themselves as the show began. The songs were “sung” (or played on the speakers and lip synched) not only by the skating cast, but full volume by every little girl (and some boys) in the audience. OK, and again- plenty of parents. You know who you are. When “Let It Go” came on, I thought the walls were going to come down, LOL. 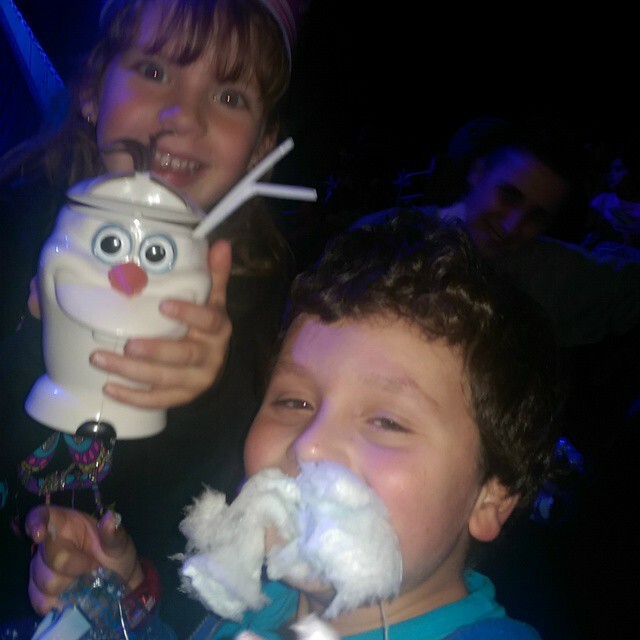 The kids had a great time, and you will too. Check out when the show is coming to your town! 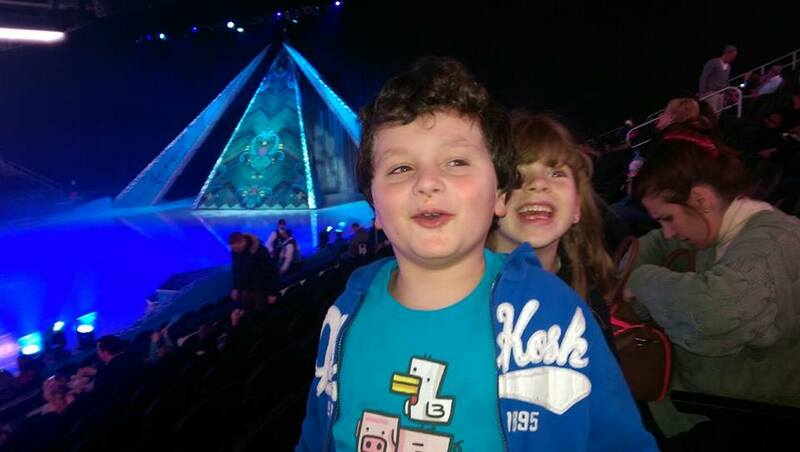 Visit the Disney On Ice website (http://www.disneyonice.com) for a full listing. Who has a child that loves Veggie Tales? 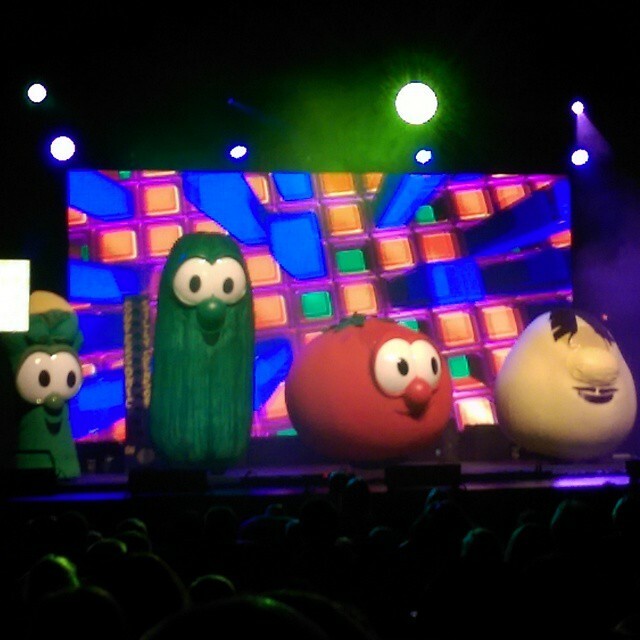 If your child loves the show as much as mine does, then you will be excited to know that Veggie Tales is touring with a live show! The Silly Sing Along is coming to a stage near you, so don’t wait, and get your tickets now. We went to see the show this past weekend, and had a great time. Larry, Bob and all the gang were there with all the silly, wholesome fun you and your kids love from the TV series. The Veggies preform the songs that your family knows and loves already in a fun sing a long, while they and their human friends dance and sing on stage (and the audience does in the aisle as well). The Veggies are super excited about their new TV show! But, which song is the silliest? Chaos is bound to ensue when no one can agree on a favorite silly song. A new invention is unveiled to reveal the silliest of all silly songs. But when the machine malfunctions and Jimmy disappears, the Veggies must find a way to get along and get Jimmy back! Just opened last night at Millburn, NJ’s Paper Mill Playhouse is Oliver! This adorable show is great for the whole family, and both my son and I loved it. Some of our favorites from the evening were Betsy Morgan, who plays Nancy (thief and more). Nancy loves the main villain of the story, but wants more out of life then she has a chance to receive. She takes up for Oliver, and pays for it in the end. Betsy Morgan has an amazing voice, and every single time she took the stage we were excited to hear her. Her voice and performance were moving, and she was a pleasure to watch. My son (age 6) also loved her, and wanted to know when she will “make a CD”. My son also was excited to see all the children on stage, led by Tyler Moran, who is in 6th grade and plays Oliver Twist. The children were lively, talented, and great multi-taskers, singing and dancing as different parts and characters. We had a great time at this performance, and recommend you taking your whole family to the first show that fits into your schedule. 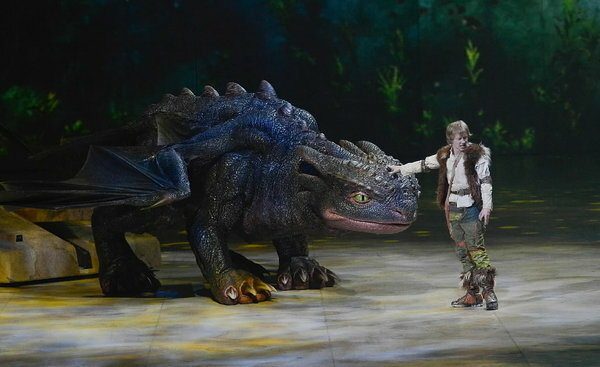 When I first heard about the live performance of How to Train Your Dragon it sounded interesting, but boy was I in for a surprise. 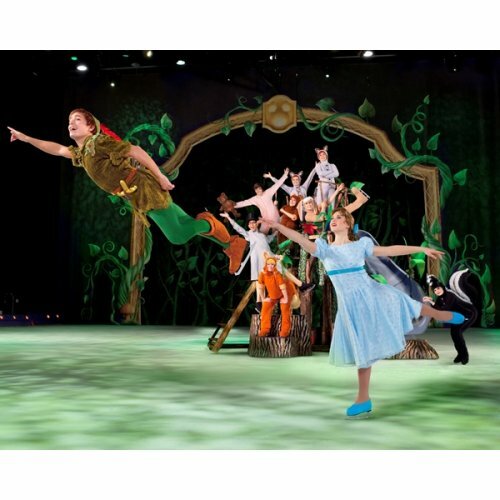 The show is a spectacular combination of music and sights, for both adults and kids to enjoy. The show is filled with wonders, such as the combination of live action and video. One part of the show was created to look like the actor is running along a path- but in reality it was an actor running through projected and real scenery while hanging perpendicular to the screen, then all about the stage (and wall) area. The dragons were amazing, the robotics involved to make these creatures move, roar, shoot fire or lasers is truly fantastic. Shadow dragons flying above or shooting fire completed the effect, along with pyrotechnics that shot flames and tied it all together. The pre-show Hero’s Welcome package was a great idea. 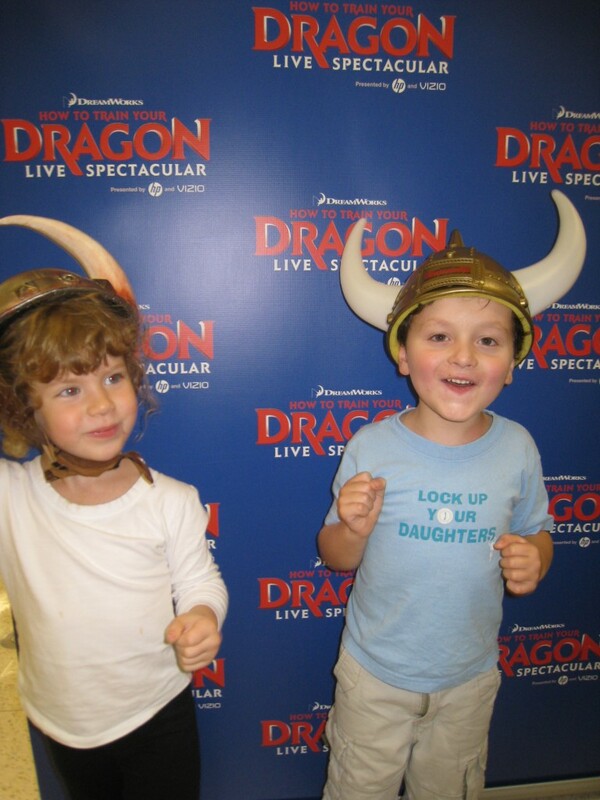 The package included all of us getting dressed up as vikings for a posed picture, then meeting the main human characters (Astrid and Hiccup) for photos and Dragon Training Certifications. After the show, they had an explanation of how things worked. Pretty in Pink had to take her certificate for show and tell in school, so that she could show everyone that she is now a Dragon Trainer (she was so proud). Little Man was absolutely aglow from the idea that he was a viking and he had a chance to hold a sword and a shield. He also wanted to hug all the dragons- so no worries that they will be too scary for your little ones.